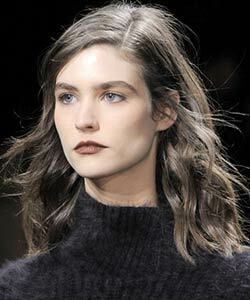 We're feeling inspired by Real Beauty's coverage of New York Fashion Week Fall 2013. We almost jumped out of our seats with glee when we saw that every single model on the Zang Toi catwalk sported gorgeous voluminous curls this season, even the men! In the past, if I'd looked in the mirror to find my hair behaving this way it might have constituted a bad hair day. But Marc Jacobs is making big body beautiful this Fall. 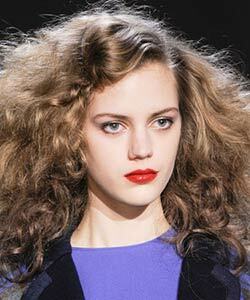 We've seen a few takes on the faux bob, and this curly haired version is a fun twist. We can only imagine how many bobby pins are tucked into the nape of her neck, but it's totally worth it! We've seen ombre tips, hair chalk tips, and now Nicole Miller has brought both trends all the way up to the roots. 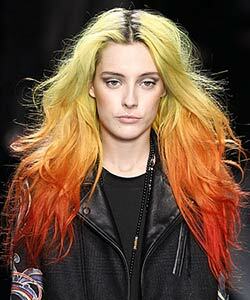 It will take a gutsy girl to rock this look, and if you do we'd love to see photos! S-shaped waves, close to the head, and a nice sheen? This looks like a textbook Type 2B Wavy Curvy to us. Have you taken the curl pattern quiz yet? This style is a fantastic option for any Type 2 Wavies looking for a new 'do. Odile Gilbert of John Frieda shares how she created the look over here. 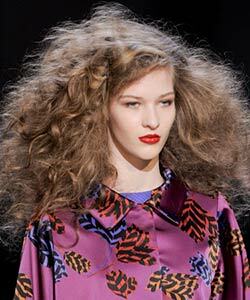 Large loose curls gave all of the models at Cynthia Rowley a cool, laid back attitude. We thought the curls really brought out the character in the clothes. 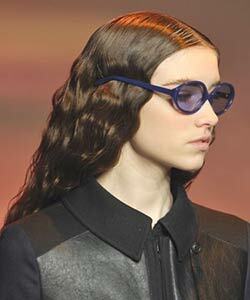 The waves at Phillip Lim were polished and casually tucked behind the ears. 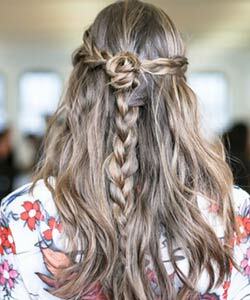 We could definitely see this as a work hairstyle for our wavy readers. 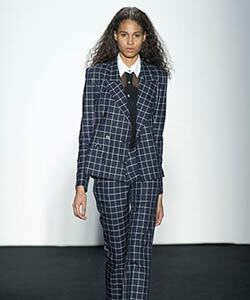 Curls gave the male-inspired suits of Timo Weiland a feminine touch. 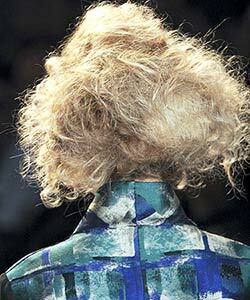 Our favorite Fashion Week hairstyle for Fall 2013 so far is the big beautiful curls at Marc Jacobs.